In Andi's Moving Company, you've gotta get all of the stuff outta the ONE ROOM house and into the Moving Truck! Control both movers using WASD and ARROW KEYS (sorry, no bindable keys), and press LEFT / RIGHT shift to pick up furniture. Most items require both movers to carry!!!! Improved Controls. 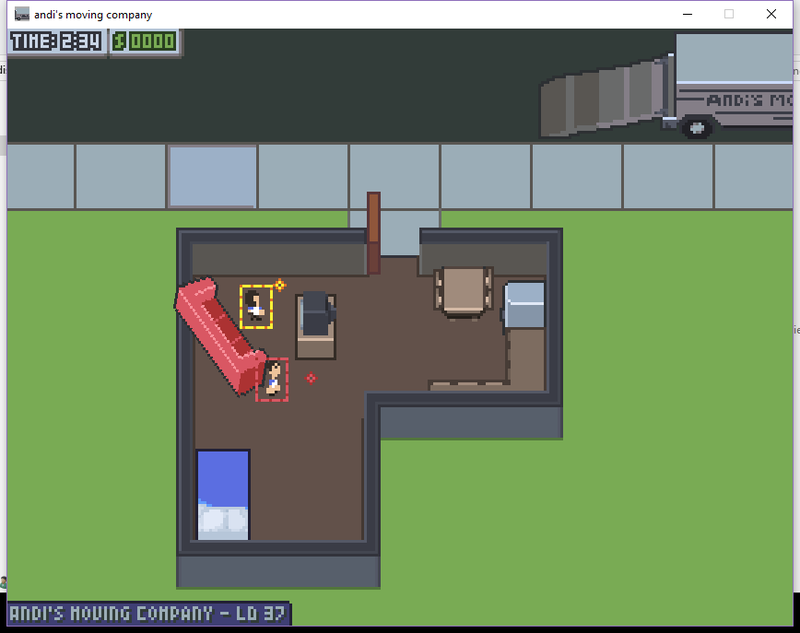 Movers should now "slide" more around their max distance, making it much easier to coordinate the two. Still ironing this out. 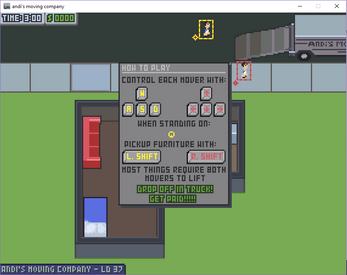 Furniture "Handles" are more informative: the cues that show you where to stand to pick up furniture now flash the color of the mover able to interact with it. Optimizations through some refactoring, may lead to some funkiness.